Today I am bringing you as always my monthly playlist! 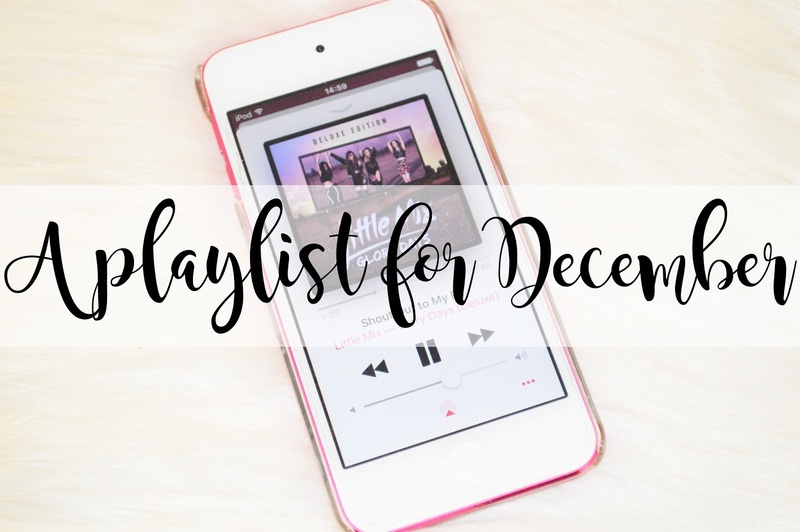 I am very excited to share this playlist with you, however it does not include any Christmas songs as on the 9th December, I am going to be sharing with you my Christmas Playlist as part of Blogmas! Who's excited? I definitely am! This is definitely one of my favourite posts to share with you guys, as it means I get to scroll through my itunes playlists and recently downloaded music to decide what music I need to rediscover or discover in general. What songs are you currently loving? Shout Out To My Ex with some alcohol in me, makes me the sassiest person ever!